The IRWMP was updated in 2018. The newest IRMWP can be found, below. 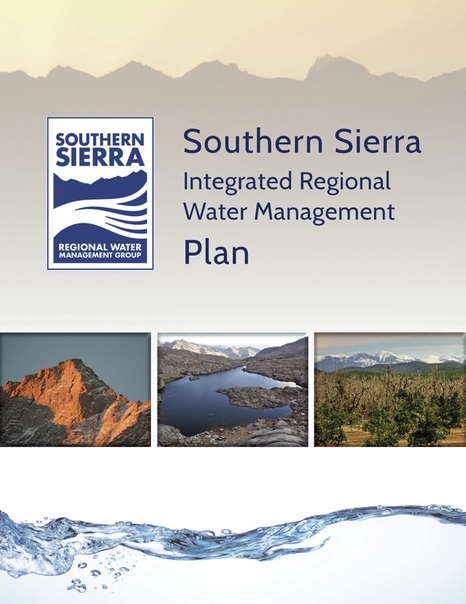 ​The complete and final version of the 2014 Southern Sierra Integrated Regional Water Management Plan is available. The appendix can be accessed here. The Plan has been adopted by the RWMG and approved by the California Department of Water Resources. The IRWMP was prepared in accordance with the State of California Department of Water Resources IRWMP Guidelines. The IRWMP includes groundwater, surface water, flood control, and watershed management objectives for the southern Sierra Region covering parts of Madera, Fresno and Tulare Counties. The IRWMP also includes planned strategies to accomplish the objectives of the IRWMP. Public comments from landowners and other interested parties were accepted for one month. The RWMG then voted to adopt the Plan at its meeting on November 13, 2014.